A public consultation has been launched to gather information and Canadian views about a revised version of "Safety Code 6", which concerns Canada's recommended human exposure limits to radiofrequency electromagnetic energy - the type of energy emitted by various types of electronic devices including mobile telephones (which are commonly referred to as 'cell phones' in North America), and Wi-Fi sources, broadcasting towers and mobile telephone masts. This is the first time Safety Codes have been opened for public consultation in Canada. The revised Safety Code 6 is available on the government website 'Health Canada' where it will remain open to comments until the 15th July. Comments concerning scientific and technical aspects of this version of the revised guidelines will be considered in the development of the final revised guideline, which is expected to be published in the autumn of 2014. The current Safety Code establishes and maintains human exposure limits that are set below a scientific threshold for potentially adverse health effects. The limits in the current Safety Code 6 are based on established scientific evidence and therefore are believed to provide protection against all known adverse health effects. 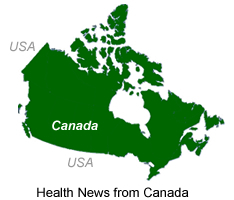 Canada's current human exposure limits are consistent with science-based standards that are also used in other parts of the world, such as in the United States, Japan, Australia and New Zealand. Health Canada's proposed Safety Code 6 will make Canada's limits among the most conservative science-based limits in the world. This is the first time Safety Codes have been open for public consultation. News is included on the IvyRose website to inform visitors about current health issues, but not to endorse any particular view or activity. Any views expressed in the article above are not necessarily those of IvyRose Ltd.. Material in this news item was released by the Canadian based source listed below on 16 May 2014 and may have been edited (e.g. in style, length, and/or for ease of understanding) for inclusion here. For further information, please visit their website.